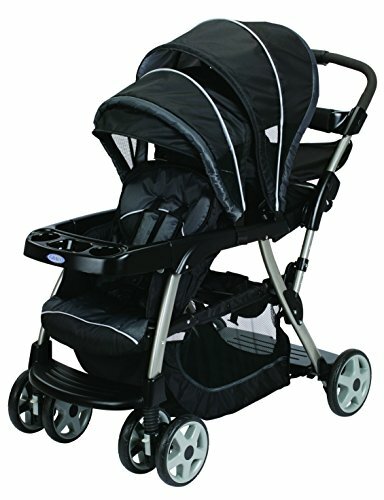 A Graco double stroller has the reputation for affordability and good quality and to suit your growing family’s needs, several options are available. To make the best choice, you must be aware of your needs and the most important factor is the ages of your children. Are they twins who are the same age or are they an older and younger sibling? Graco gives you lots of double stroller options. 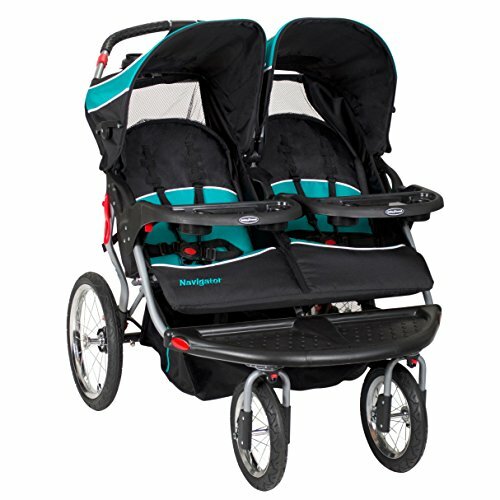 The first is their newer side-by-side twin stroller that can actually accommodate two car seats for twins. Not many side-by-side doubles can do that. The next one to consider is a tandem, which is front to back. 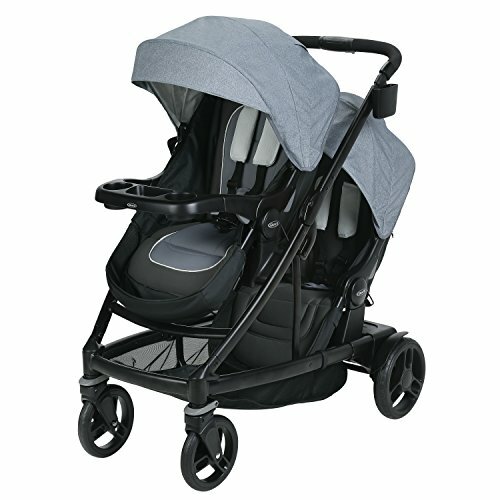 Graco’s only tandem is the DuoGlider, which has been around for years and has consistently gotten good reviews. Two more options in Graco’s line are the RoomFor2 or the Ready2Grow. Both of these options are “sit and stand” strollers. If you have an older child who likes to get out and walk around, then one of these stand-on products is the sensible choice. Whichever style you choose, know that owning a Graco double stroller means you have something that is quality and has stood the test of time. If you want an easy fold, side-by-side double stroller, you’ve got it in Graco’s FastAction Fold Duo Click Connect. The sturdy frame is narrow enough for standard doorways, and it holds your children up to 50 pounds in each seat. 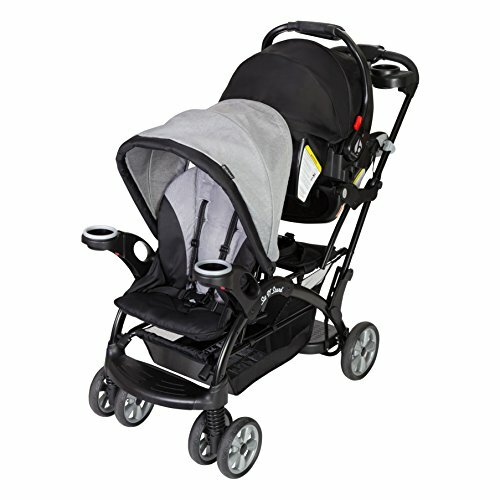 Your children will love riding in this stroller because of the comfortable seat padding and deep recline. Each seat has a generous sun canopy with pop-out visors and mesh viewing windows that encourage air circulation. Pivoting, removable cup holders keep your little ones happy. Mom enjoys lots of storage space beneath the seats that are easy to access, even with the seats reclined. Cup holders and a parent tray hold your essentials. 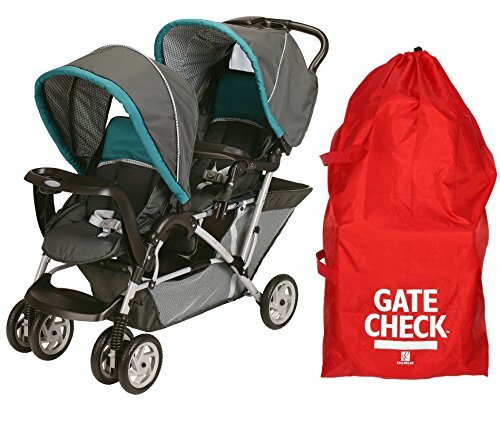 The easy fold is very important, who wants to wrestle their stroller into the car? Ease of fold is getting mixed reviews, but most say it’s pretty easy. 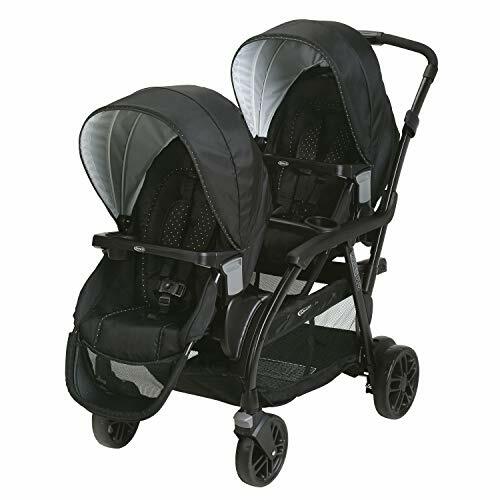 While all double strollers are bulky, the FastAction Fold Duo Click Connect fits well into most standard car trunks with ease. This product weighs 33 pounds, and for a double, that’s a lighter weight than many that are full of features. The DuoGlider is the more economical model compared with the Quattro Tour Duo. 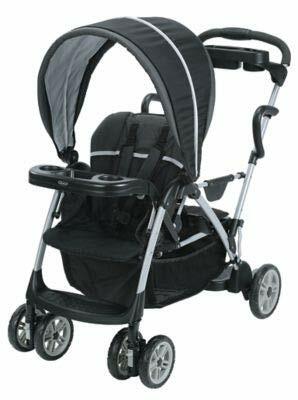 Only 20 inches wide, this duo stroller can fit easily through doors and is also a lighter weight. 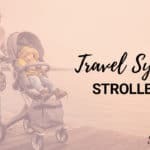 It is still a very popular choice as a tandem seat stroller and like the Quattro Tour Duo, the second seat is elevated for both infants and toddlers and can take the car seat on either or both seats. 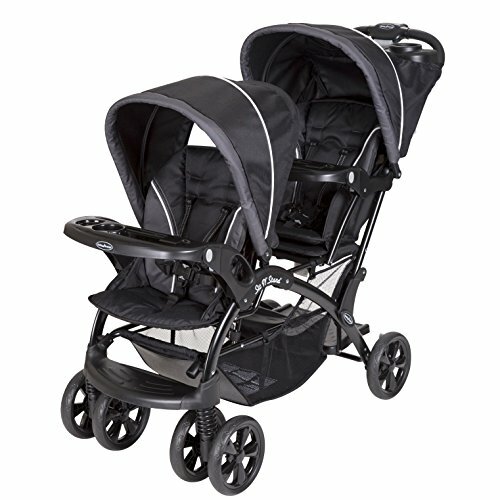 This is one of the best value for money tandem Graco strollers on the market. Parents prefer this full-featured duo/tandem stroller because it is more narrow than many tandems and can maneuver in tight spaces. However, this becomes more difficult as children become heavier. This stroller is also known for its durability and sturdiness, especially considering the price. Find out what else this stroller can offer you and what parents like you say by reading the Graco DuoGlider stroller review. Dimensions: 40.1L x 20.9W x 34.6H in., 26.53 lbs. The new RoomFor2 is a basic sit and stand stroller but it is packed with all the features a busy family with two children needs to get around. Both bench and seat accommodate up to 50 pounds each, allowing lots of room for growth. The seat takes any Graco car seat so that you can have a travel system for your newborn baby. The seat also has a multi-position recline, including flat, so baby can nap comfortably. Your older child has a padded bench with a 3-point harness for safety when a rest is needed. Handles on either side of the frame provide a place to hang on to for your big kid when standing. For parents, a one-handed fold is essential, and an auto-lock holds the frame together for quick storage. You get lots of storage space with a large basket beneath the seats and a console with cup holders at the handle. The seat has a child snack tray that pivots outward for easy ins and outs. The RoomFor2 has been getting fantastic reviews so far. Parents say that the item on the large tires that makes it easy to steer and the compact fold. One mom stores it in her Ford Escape with room to spare. They like the ease at which a Graco car seat can be attached without any extra accessories needed. Overall, parents are very happy that this quality brand has come out with a sit and stand style stroller. While the RoomFor2 is the more basic stand and rides, the Ready2Grow has more options. The most obvious upgrade is that you can attach two Graco car seats, which is ideal for twins (see more strollers for twins here). With the Ready2Grow, you have 12 seating options for children of any age. The front seat holds up to 50 pounds, as does the bench, and the second parent-facing rear seat can hold up to 40 pounds. The bench and seat have the same features as the Room2Grow, but this model has two sun canopies that pivot to keep your children shaded. This stroller is easy to steer and maneuver with large wheels and a suspension system. For even more information on the Ready2Grow, check out our full review. In the end, you have to pick the stroller that feels like the best fit for you and your family. 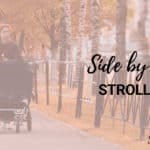 Any of these strollers would be a solid and affordable option for parents with two children, but only one is going to work best for you. I suggest reading our full reviews of these products and really looking at the comparisons to see which one feels best!